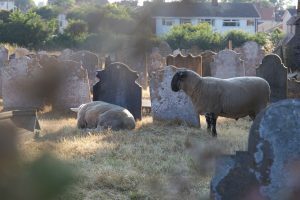 Murder at St Margaret’s ! 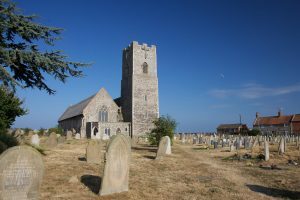 Sunday 22nd July dawned another hot and sunny day in Pakefield – the perfect weather for a very special occasion in our church – the Instituting and Induction of a new Rector for the Parish of All Saints’ and St Margaret’s Pakefield! 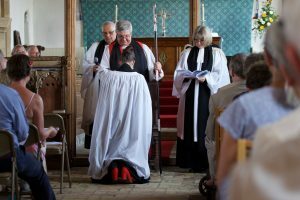 Revd Sharon Lord, Rector ‘ Designate ‘ – as the Service Sheets said! 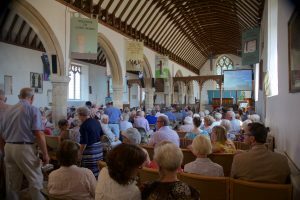 The congregation were gathered, and the very meaningful and joyful service took place, and Revd Sharon Lord became the new Rector of Pakefield. And then the deed was done and with Sharon, no longer just ‘Designate’ but for real! 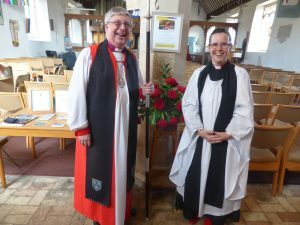 Along with the clergy hierarchy, Sharon herself, her family, friends from afar, and our congregation here at Pakefield – all were very happy – including the sheep! and over in the hall and on the green the celebration continued with refreshments and the sunshine being enjoyed by all. 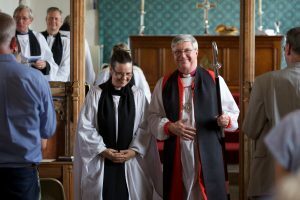 A very special day truly blessed by the Lord! "Always be prepared to give an answer to everyone who asks you to give the reason for the hope that you have. But do this with gentleness and respect…"